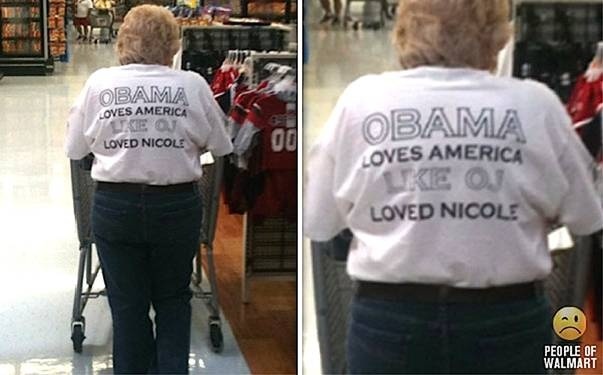 A well dressed WalMart shopper. What a BRAVE and well-dressed lady!!! The per person Medicare insurance premium will increase from the present monthly fee of $96.40, rising to: $99.90 in 2012; $120.20 in 2013; and $247.00 in 2014. These are provisions incorporated in the Obamacare legislation, purposely delayed so as not to ‘confuse’ the 2012 re-election campaigns. Send this to all seniors that you know, so they will know who’s throwing them under the bus.